Origen V1 Clone breakdown pictures and review. Thread: Origen V1 Clone breakdown pictures and review. Price: $45+$10 postage = $63.94 AUD - Not a cheap clone by any means, but product is of such quality it doesnt bother me. Im guessing when this starts to hit the major suppliers we will see a decrease in price. If a authentic Origen could be sourced for around the $120 mark then i would of taken that option as resale value is still quite high. Its a pain to find and they do not make enough to meet demand so im happy there is a good clone out now. Packaging: Decent, comes in a nice foam cutout protecter in a square box, looks cheap but does the job and who cares about what packaging look like? Build quality: Very good, but there are issues. Top cap. 9/10 (That dealio with a bunch of holes drilled into it). Everything is very well machined and finished, the only issue i have is that the center post can spin and is not adjustable. 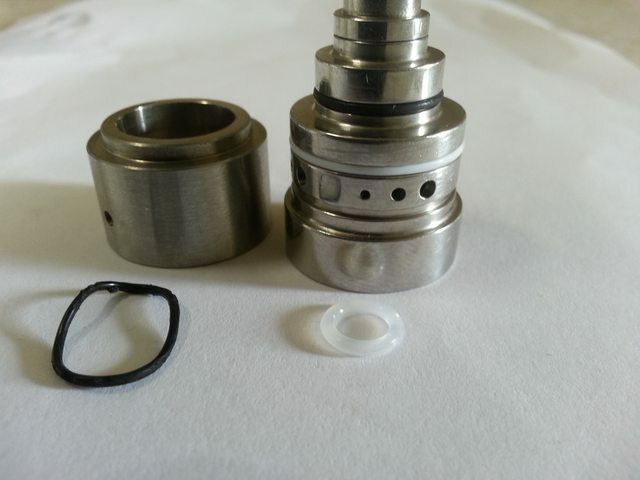 The spinning issue is not to big, once you have your center pin tightened onto the atty it will not spin unless you use excess un-needed force, once you know its an issue its easy to not do, you just need to make sure when you rebuild it after a complete breakdown that its tightened down good. (This is more my fault than anything) While pin is not adjustable it fits 6 different mechs and my SVD just fine. 510 threading is alright, little too loose unless you have it tightened all the way down though but this is like many RBA's i own. Juice capacity- From a completely empty RBA with the included wick in the pic it works out to be 1ml-1.3ml without overfilling. I can have it filled completely, with the largest dual airholes open and lean it on a 45 without it leaking. This is the biggest issue i had with my Origen which is good as its an easy fix. Ive included photo's for reference but i took off the original 2 orings on the top cap and replaced it with a single oring at the top, This is now perfect where as before it was way too tight, even 1 original o-ring was too much and it needed a slimmer o-ring. 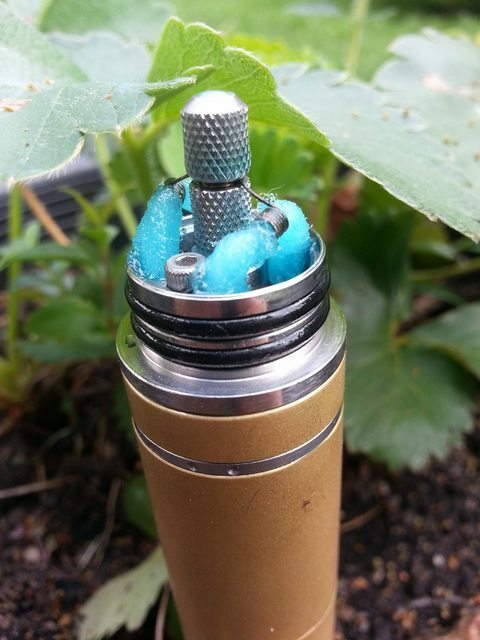 Bottom o-rings and driptip rings work jut fine, The oring for the driptip is very thick and will need something different than the usual orings most people will have but other than that its all good and they do supply you with spares. Needed a clean but you should do that with any RBA you buy anyways. 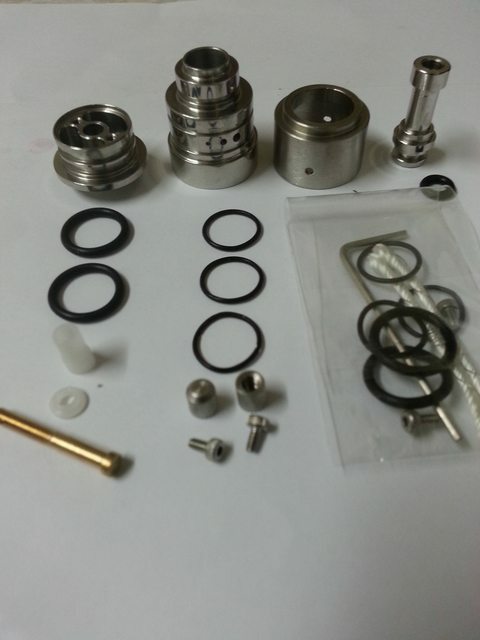 Original o-ring is on the left, the one i used is on the right and comes with most drip tips. ultravape, The Sodd, avtek and 1 others like this. Good to see you are enjoying the brass nemesis clone. what's your impression flavor wise ? why you're vaping blue ink? I am not against the rich. I am against using wealth to gain unfair advantage. I am not against corporations. I am against corporations governing us. I am not against capitalism. I am against corruption in capitalism. I am not against banks. I am against legalised fraud in banking practices. I am not against democracy. I am against the sale of influence by our elected representatives. Thanks for the review. Looks like a quality clone that you got your hands on. Haha the blue ink is krankenberry, one of my adv atm. It looks good for pictures. It performs like any other RBA with .5 on it :P I can say its easy to use and refill, barely any leakage, none when not tipped beyond a 45 angle. Getting your coils on could be easier but its not difficult, just a little time consuming, once i get used to it though it shouldn't be an issue. Last edited by Fawks; 08-03-14 at 04:43 PM. It'll be a good minute until it actually arrives :/. From what I hear, the performance of the two are pretty much the same. Even though the V2 has a (further) reduced chamber, I read that there is no difference in flavor. The only reason that I purchased the original over the clone is that I moved out of the city and am now saving tons on rent!